ISLAMABAD (Reuters) - The failure of Pakistan's Senate deputy chairman, a prominent Islamist politician, to get a U.S. visa on time for a trip to the United States prompted Pakistan to boycott a U.N.-sponsored meeting on Monday, a parliamentary official said. It was not clear whether the failure of Senator Abdul Ghafoor Haideri to get a visa on time for his trip was related to U.S. President Donald Trump's call for "extreme vetting" of applicants amid a push to suspend visas from seven other countries. Haideri, a leader of the Islamist Jamiat Ulema-e-Islam-Fazl (JUI-F) party, had been scheduled to lead a delegation to a meeting of the Inter-Parliamentary Union on Monday and Tuesday at U.N. headquarters in New York. However, when he did not get a U.S. visa on time to travel by the weekend, he canceled his trip and the rest of delegation decided to boycott, Chaudhry Arshad, a director at the office of the Senate chairman, told Reuters. "Unless the U.S. provides an explanation for this delay, no Senate delegation will visit the U.S. and no member of Congress or U.S. diplomat will be welcomed in the Senate," Arshad said, referring to Pakistan's upper house of parliament. Haideri could not be reached for comment but an official at his party's office said it was awaiting an explanation from U.S. authorities. He declined to be identified. A spokeswoman for the U.S. embassy in Islamabad declined to comment, citing privacy rules. Pakistan's Express Tribune newspaper reported on Sunday that Haideri had applied for the visa two weeks before his planned trip. It can take weeks for Pakistanis to get a U.S. visa under normal circumstances. Haideri is known for his opposition to the U.S. "war on terror", launched after the Sept. 11, 2001, attacks in the United States. His party is in a coalition government with Prime Minister Nawaz Sharif's ruling party. Drawing much of its support from Pakistan's network of religious schools, called madrassas, the JUI-F is one of Pakistan's largest Islamist parties dedicated to imposing Islamic law in Pakistan through elections. 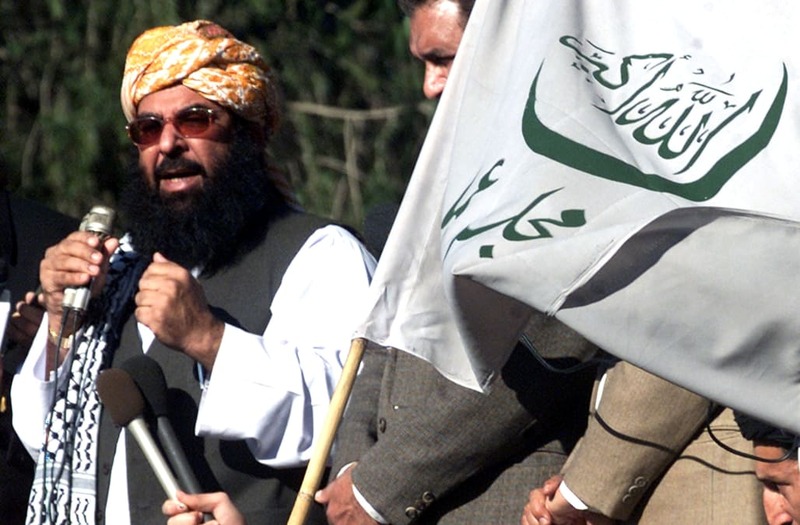 The JUI-F openly supports "jihad" in India's part of the disputed Kashmir region and a Taliban government in Afghanistan. "We're going to have extreme vetting in all cases. And I mean extreme. And we're not letting people in if we think there's even a little chance of some problem." Trump is considering issuing a new executive order on visas after an appeals court upheld a court ruling last week that temporarily suspended his Jan. 27 executive order banning travel from seven majority-Muslim countries. Pakistan was not on the Jan. 27 list.